The anticipation of an unseen country has a special allure for me. I had left Iraq with an intense desire to see a new country. I set 40X40 as my goal, which is to visit 40 countries by age 40. I have heard only good things about Thailand. “It’s beautiful!”… “It’s amazing!”, or “Good to visit any time of the year.” So after six months of anticipation, Thailand became the next country on my list. It was my first visit to an Asian country. Bangkok was my third stop after Chicago and Istanbul. L, my travel partner, and I flew on a red-eye flight from Istanbul on Turkish Airlines. It was hard to say how I felt on the flight to Bangkok, until reality established itself upon landing. I was walking through the Suvarnabhumi Airport terminals following the signs to passport control. I looked at the Thai writing of the words “Passport Control”. A strange feeling started to emerge inside me. The letters looked like symbols in one of those ancient caves. I couldn’t distinguish the Thai alphabets from any other Asian alphabets. In such circumstances, I should’ve felt happy traveling to a new place, but the sign made me feel uncomfortable. After passing through passport control, I exchanged a few hundred dollars. I received thousands of Thai Baht. Suddenly, Thai currency started to confuse me with too many zeros. We took a taxi to Kempinski hotel in downtown Bangkok. The hotel is connected to Siam Paragon Shopping Mall via a tunnel. Our room was spacious, beautifully designed, balcony overlooking the pool, and glass-wall bathroom. The rate was discounted from about $1700 to about $300 per night. It was a five-star hotel by all means. It revived my positive feeling about Bangkok. After refreshing and settling into our routine, I went down to the concierge desk. 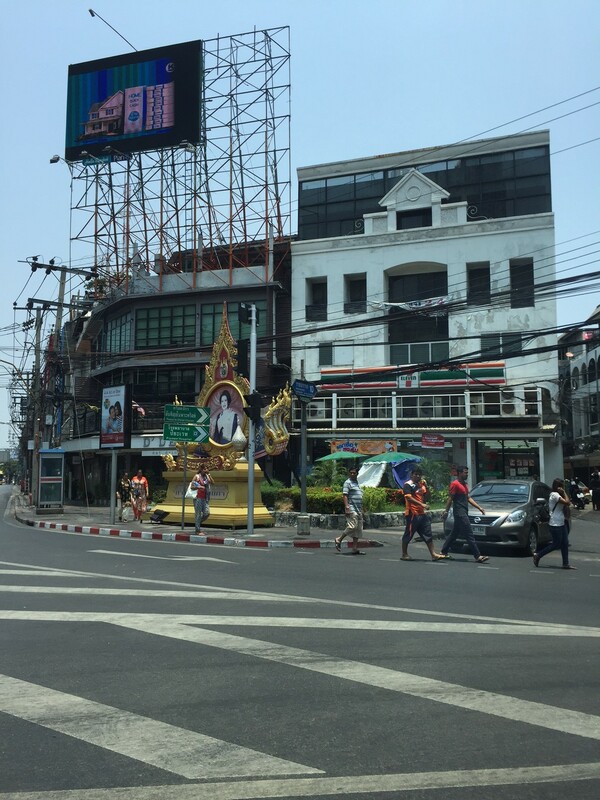 I was welcomed with a fresh disappointment – No City Sight Seeing tour available in Bangkok. And that meant nothing to see in this city. So, we decided to venture around the area in search of a nice place to have dinner. I found myself confused and not comfortable to eat at local restaurants. Hard Rock Café was around the corner. We walked into it. I decided to eat a Mexican chicken fajita. Any happiness I might have felt or any thought that fun was attainable in this city seemed to decline slowly. On the second day, we decided to go and check Siam Paragon Mall and maybe have lunch. I wasn’t in the mood for shopping. Prices were high. Plus, having visited Dubai Mall, no mall in the world would excite me anymore. As for lunch, I felt uncomfortable with Thai food. We decided to eat at an Italian restaurant. We walked the neighborhood during daylight again. We visited a nearby Buddhist temple, and then we checked the Wat Mahatat temple. At night, we took a taxi to see one of the night markets. Noticeably dirty signs of 7-11 food stores were on almost every street. By the third day, I couldn’t understand what was “awesome” or “beautiful” in Bangkok. I was bored. At every turn, I was overwhelmed with a desire to leave this place. I was supposed to fly to Phuket, but instead I decided to leave the country altogether. Armed with an American passport and endless options, suddenly the world became small in my mind. I had no desire to see any neighboring countries. We were in the taxi driving back to the hotel; I turned to L and told her: “We are flying to Dubai…I cannot stay here anymore.” I didn’t need to see anything else to change my impression of Bangkok. I bought new tickets to Dubai. It wasn’t part of my plan. Difficulties with the Thai food, boredom, sadness of having chosen the wrong country, anxiety about the cost of the trip, and the ugliness of the place caused me to have an anticipation accident with reality of travel. I was losing time from my limited holiday. And nothing excited my brain, nothing made me feel good. My mind was primed by the adjectives described by my friends. I had built a positive impression in my brain about Bangkok. The problem was not that my friend lied to me, it just that my friends haven’t seen as many countries as I.
Bangkok did offer me a few lessons: I can live and learn from mistakes, but I will always regret inaction. And between anticipation and reality, small things matter. What is the meaning of life if we don’t have options? A few hours later, I was sitting cross-legged having a cup of coffee enjoying free wireless-internet on an Emirates airplane. I had left paid nights at the hotel unused in a country where I didn’t even have a desire to take one picture of myself in it. 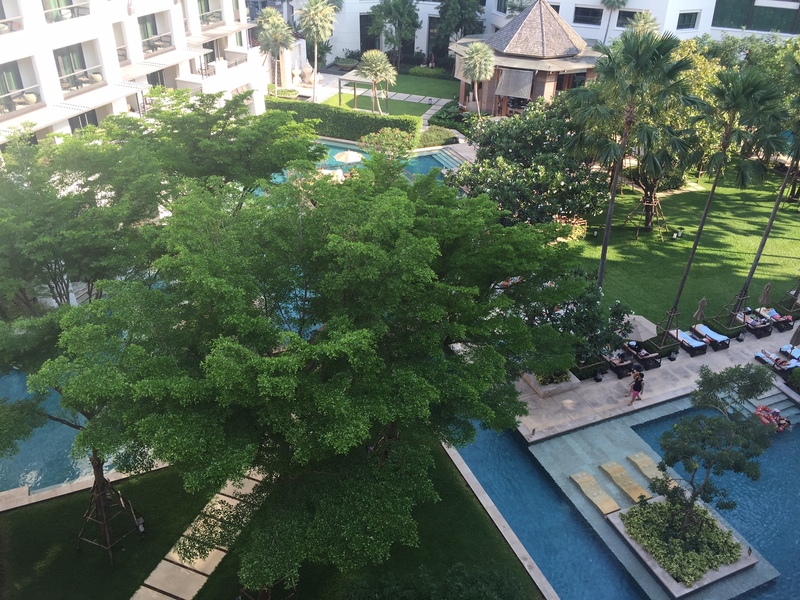 Although there is much more to my story than these 800+ words, my travel story to Thailand could be summarized into: I became a traveler who flew from Istanbul to Bangkok and checked into his hotel, then left to Dubai. P.S.2: If you enjoyed the story, please follow from top right corner to have the next story delivered to your email. I am in love with the glass-wall bathroom. Greetings friend ; it has been awhile, just To be honest with you, & just for the record , Bangkok/Thailand has been always the same never changed for as long as I remember, same thing with Cairo, morocco/Casa Blanca, Malaysia, Mexico City, Hong Kong, Brazil etc. that’s the sweetness/greatness of these 3rd world countries, raw undeveloped cities/slums, I’ve no Idea where you ended up staying exactly, perhaps you should’ve ventured out , but great American, & prestige International Films have been made their,& still are on going, as for the Movie stars, great athletes, & the international populous that converge to these countries/cities for vacationing, that are mentioned above, not to include your favorite city “Bangkok” to enjoy their beautiful Islands,& out lavish parts of that particular country/city, so-forth when all things are said & done truly I want to say that’s my “opinion”, but these are facts that I mentioned, not opinionated, or point of you view. Hope this finds well, please be safe next time you travel, & look into it more deeper to understand these exotic countries, mentioning exotic ! try strolling lower Manhattan New York , or China town/Little Tokyo in L.A. USA etc. . Thanks for your comment. I do agree with you about New York and others. Maybe I give it another try a few years from now. 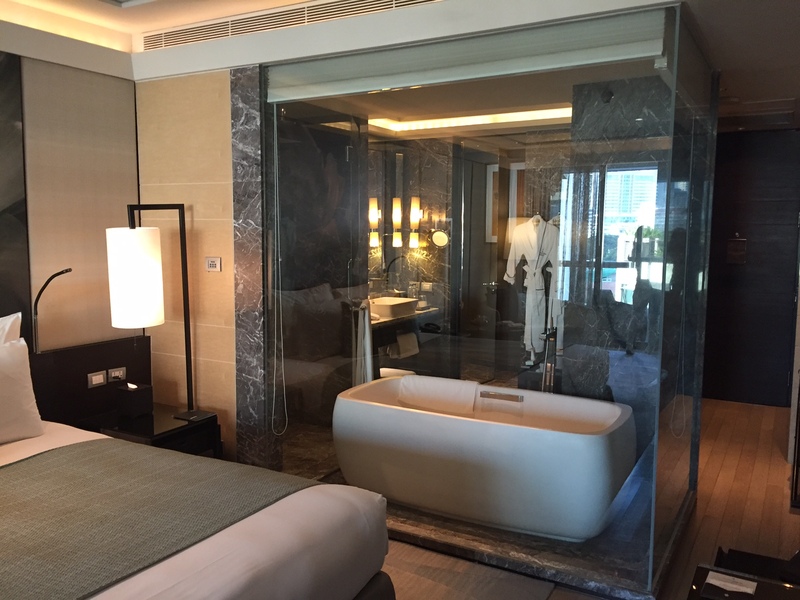 I have been in a hotel with glass wall bathroom too, I like it as well. Enjoying the travel teach lessons and not enjoying it teach different lessons. This the life as much we live and travel as much we learn. Good luck to the next one.